There really is no substitute for experience. Because of Jim’s knowledge of the market and experience gained through many real estate transactions, we were able to sell our house in a timely and satisfactory matter. In this day of market uncertainty, it really pays off to have someone who really knows the market and can motivate buyers to get off the fence. I would highly recommend him! I could not have been more pleased with Jim and my first home buying experience. His expertise, professionalism, and attention to detail are second to none and ensured a smooth and favorable transaction. Not only did Jim negotiate a significant price reduction, he was also able to structure an escrow that enabled me to take full advantage of both the Federal tax credit and the California state tax credit. He also secured a considerable credit from the seller for items in the house that worked just fine, but weren’t at 100%. Again, another testament to Jim’s comprehensive style. Jim’s meticulous and methodical approach put me at ease as he handled everything from A to Z thoroughly and expeditiously. Jim encouraged me to call with any questions, and I took him up on his offer. Jim happily answered my numerous phone calls and made sure I completely understood the home buying process. No one understands the real estate market and business like Jim. I would recommend Jim to anyone looking to buy a home. I can honestly say that if it wasn’t for Jim, I wouldn’t be in the house of my dreams. Wow, After years of talking about getting more room for us and our 4 children, circumstances finally presented us with the opportunity to upsize our home. We had so many options and so many needs. Jim evaluated our situation and it became obvious that it was time for us to move. He was patient to really get to know us all. As we began our search, he took us through dozens of homes, provided expert advice and explained the complexities of the market. After making several offers we were able to get in on our dream house, one that met all our needs. Then began the adventure of selling the home we lived in for 18 years. Jim and his staff really proved their worth as they showed us how to get our home ready and used the power of an established firm to market our house. We received 3 offers the first week and Jim sold our old home before the close of our new home, in just 45 days! Things could not have gone better. Jim’s professional, personal service has changed the way we look at realtors. We cannot imagine doing this with an inexperienced agent. We highly recommend Jim and his team. 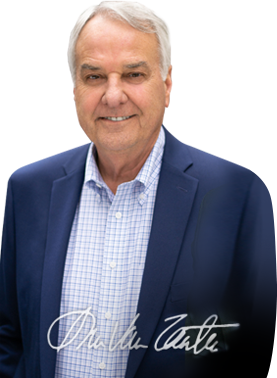 “It was a great pleasure to have Jim Van Zanten as my broker. He and his staff displayed a level of professionalism, courtesy and thoroughness which is increasingly hard to find these days in many commercial activities – not to mention real estate. From the very beginning I got the impression that I could trust Jim to represent me and my interests as a buyer;and at the end of the process my impression proved to be right – even though Jim was also representing the seller! I believe Jim is an asset not only to his profession but also to his community, and I’m happy that Jim was my broker. Jim is a true professional; personable, knowledgeable and helpful. We felt like he really understood what we were looking and was able to do so quickly. He was always available and helped us through the entire process. My husband and I would gladly recommend Jim, and South Bay Brokers to those in need of Real Estate expertise. Jim helped my wife and I buy our first home. After that, he helped a good friend of mine buy his home, and then helped my sister and brother in law buy their home. That says a lot about what my family and I think about the quality of work provided by Jim and his team. Negotiation Process: My wife and I were so anxious to purchase our first home in Manhattan Beach (and we were doing so from New York at the time) that I was about to overbid for an offer in order to get the house. Jim would have done pretty well had the sale gone through. Instead, he told me that he couldn’t let me bid that number. He told me to let the house go and he would find something that worked for our family. And true to his word, Jim showed us another house (which of course we loved even more than the one we lost) that we ended up buying for 10% less than the first house. Escrow: During the entire escrow period, we were still living in New York. No matter. Jim and his team coordinated all the inspections that we would need and all I needed to do was fly out here for one day and sign some papers. Jim was able to negotiate with the sellers on our behalf that they take care of all of the repairs except for one minor one. The seller left the house in pretty bad shape but I never saw it that way because Jim had the entire place cleaned and ready for our arrival. Only reason I knew this even happened was because my Dad told me. Bottom line, we couldn’t have had a better experience. The best part is that whoever we have recommended Jim to has had an equally fantastic experience. His knowledge of the local market, his relationships with builders, agents, contractors, business owners, etc is reflective of the time and effort he has spent here. Highly recommend Jim and his team. We’ve bought and sold four homes with Jim and in every case Jim exceeded our expectations. Every transaction had its own issues, but Jim always treated everyone with integrity and respect while getting us the best deal and helping us navigate some thorny situations. We’d recommend him to anyone! It was a pleasure working with Jim and his staff. He adroitly uses his broad knowledge and extensive experience in providing his clients a highly professional experience.